A while back some friends of ours threw a grilled cheese party. Guests brought the bread and cheese and the hosts provided the extras–avocado, grilled onions, grilled mushrooms, tomatoes, salsa, peppers, olives, fresh and dried fruit, and so on… We all ate way too many fat and carb calories that night. Just as you reached your limit, you would hear someone in the next room moan with delight as they bit into a different combo, and suddenly everyone had to try it. I highly recommend it as a party idea, especially if you’re inviting people who don’t know each other very well. Everyone taking turns manning the different stations, and sharing their flavor triumphs and failures brings people together in conversation. This sandwich combination is a creamy, nutty, slightly sweet bomb of a treat. 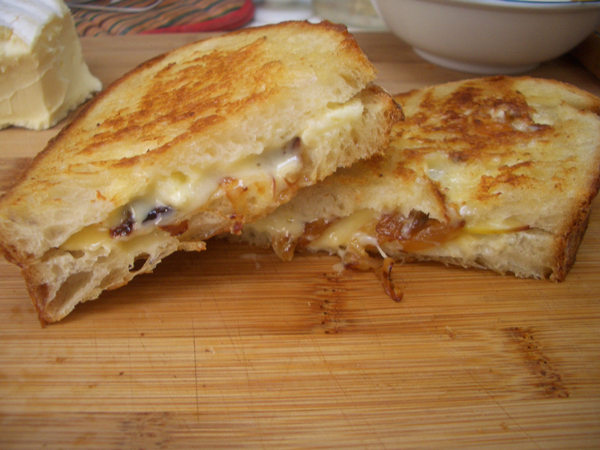 It’s not your average cheddar or Jack sandwich hence the “Grown-up” bit, but I can think of a lot of kids who would love it. The idea for the cheese–the Fromager d’Affinois, which is similar to brie without the potent aroma–came from The Cheesemonger’s Kitchen: Celebrating Cheese in 90 Recipes by Chester Hastings. It’s a great book for anyone looking for unique but simple ideas for tasty cheese-focused recipes, as well as being a great all-around guide to cheese. 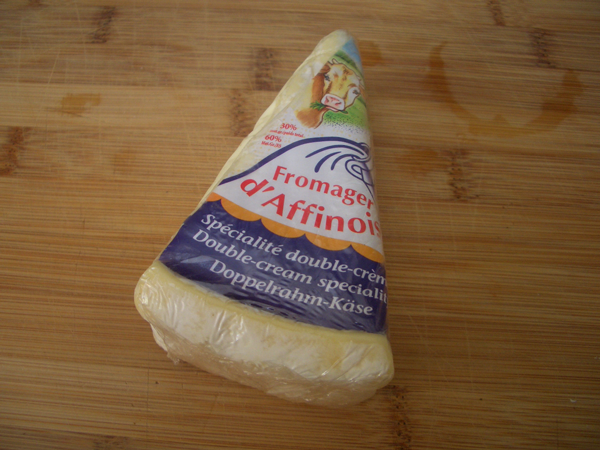 Fromager d’Affinois should be available at most supermarkets. 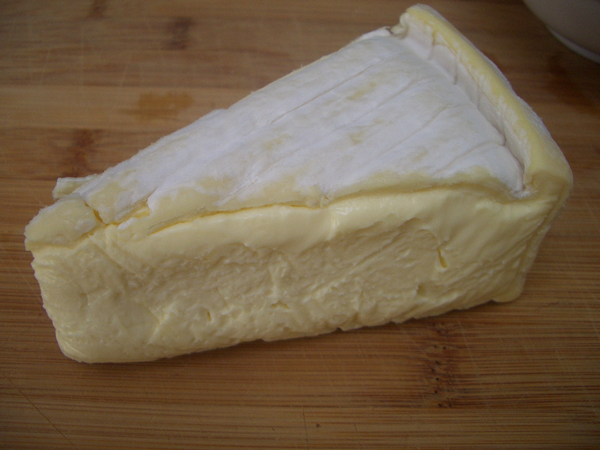 It melts beautifully and doesn’t congeal the way some cheeses do when they start to cool, making them rubbery too soon after leaving the grill. You can add whatever fillings you like. The apples and onions worked really well. Whatever you use, don’t add too much or you will eclipse the delicate flavor of the cheese. Peel and cut the onion in half, pole to pole (with the grain). Slice the onion, again, pole to pole. If you slice it across the grain, the onion will fall apart and have a mealy texture when cooked for such a long period of time. 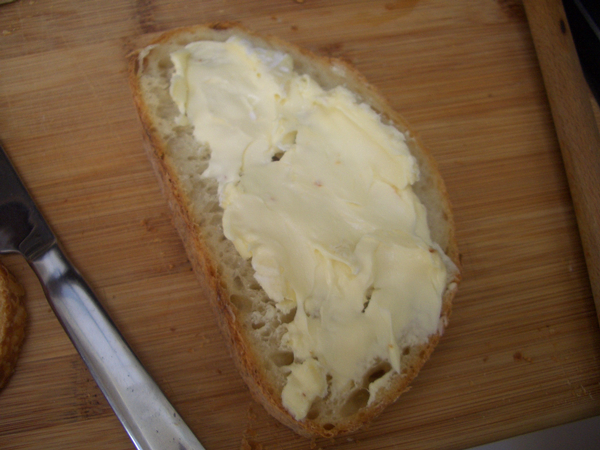 Melt two tablespoons of the butter in a frying pan over medium heat. Add the onions and a pinch of salt. 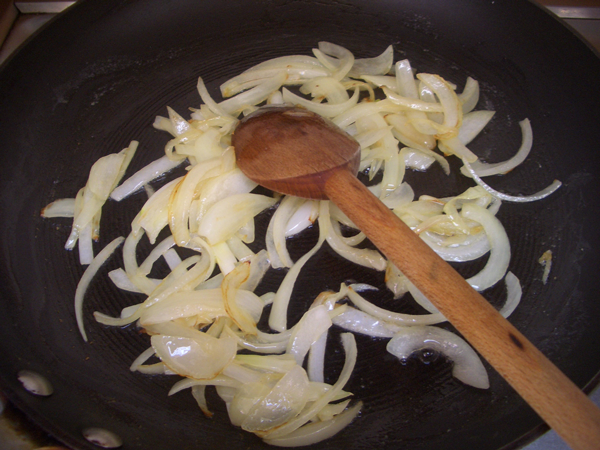 Cook until the onions are nice and golden brown, stirring often. This will take at least 20 minutes. Don’t try to hurry things up by turning up the heat, or the onions will burn. Set aside. Slice the apples thinly. 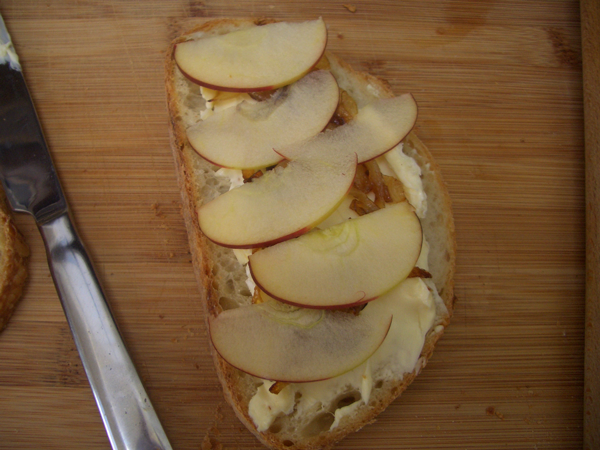 You want a hint of the apple in the sandwich–accenting, not overpowering the cheese. Assemble the sandwiches. 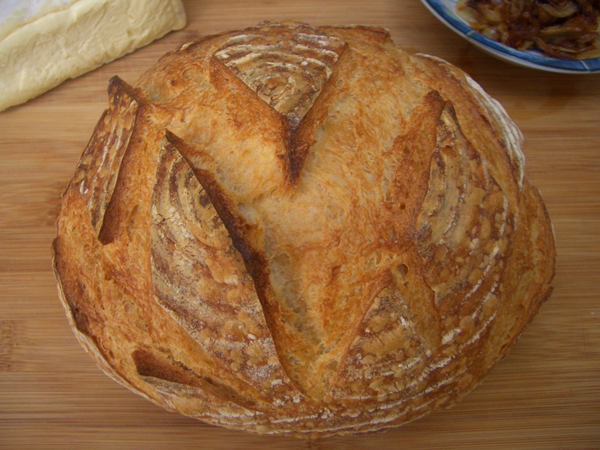 Keep the buttered sides of the bread on the outside. Divide the cheese, onions, and apple into four portions. You might have more onion, and you will definitely have more apple than you need. 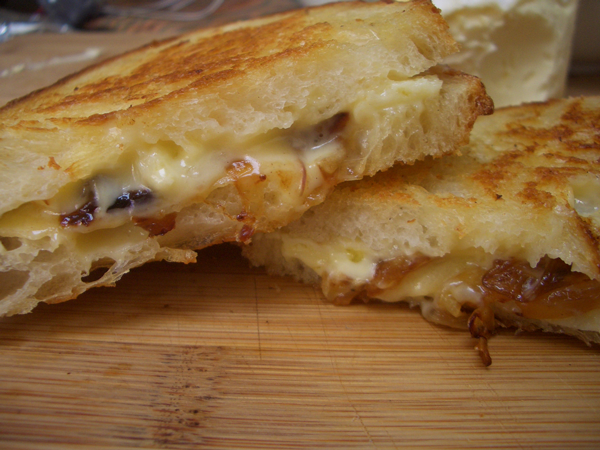 Spread the cheese on one side of the bread, top with onions, apple, season with a sprinkle of freshly ground black pepper, and top with the second slice of bread. You might want to spread a smidgen of cheese on the second slice of bread to help the sandwich hold together, but it’s not necessary. 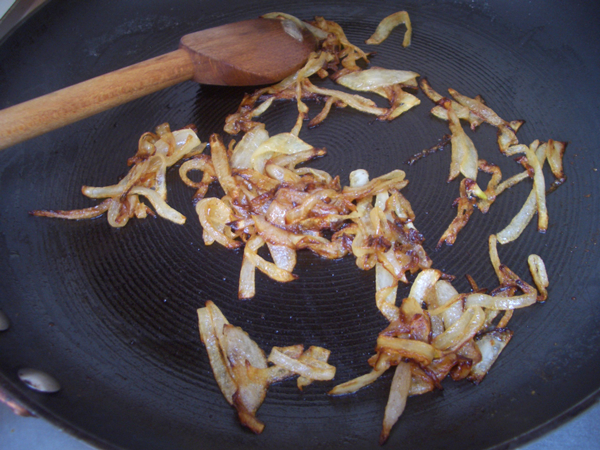 Heat a frying pan or griddle to medium heat. Grill the sandwiches until they are golden brown on both sides, periodically pressing them down with a spatula to compress the sandwich and make sure the whole surface of the bread touches the pan. 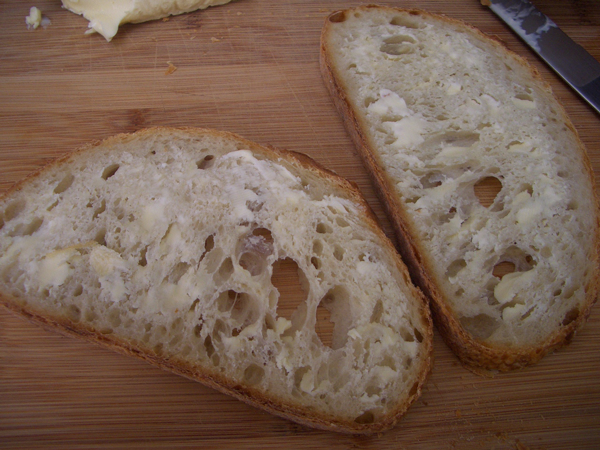 If you are making them one at a time, keep the finished sandwiches in a warm oven as you make the others. Serve immediately with the extra apple slices as a little side.